Peaceful Cottage & Café du Mont. ​Located a 1 km from Nagarkot Bus Stop, Peaceful Cottage offers Deluxe mountain facing and standard pine trees facing clean rooms in an ongoing new annex which is still going on renovation with an attached bathroom, hot shower and free fast wifi for all our guests. Offering a variety of facilities and services, the hotel provides all you need for a good night's sleep. Service-minded staffs will welcome you with warm hospitality and friendly service to make your stay in Nagarkot unforgettable. Nagarkot is located is at a distance of 32 km from Thamel, Kathmandu and 28 Km from International Airport. Nagarkot is one of the popular tourist destinations for Natural Scenery, Fresh air and stunning mountain views. 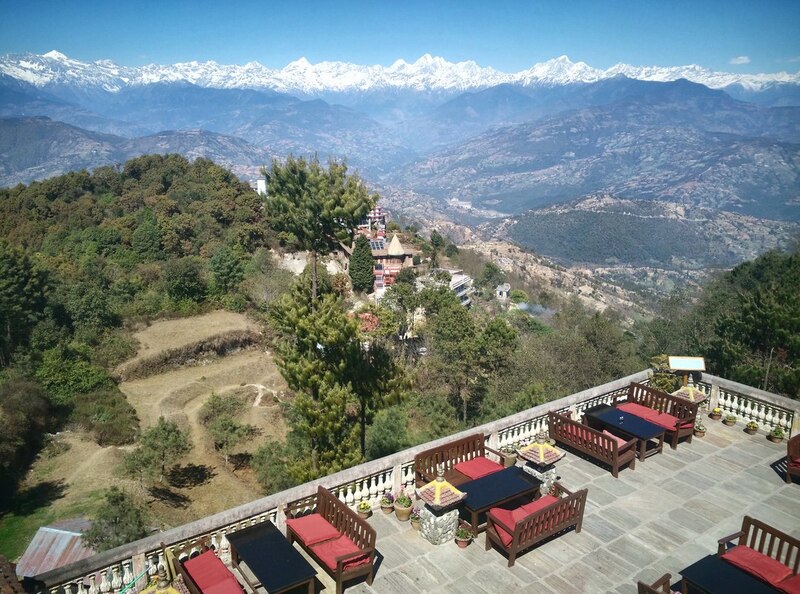 Panoramic Views of himalayas can be seen from the rooftop terrace of the hotel. Nagarkot is a great choice for green travellers interested in outdoor activities, scenic walks and culture. 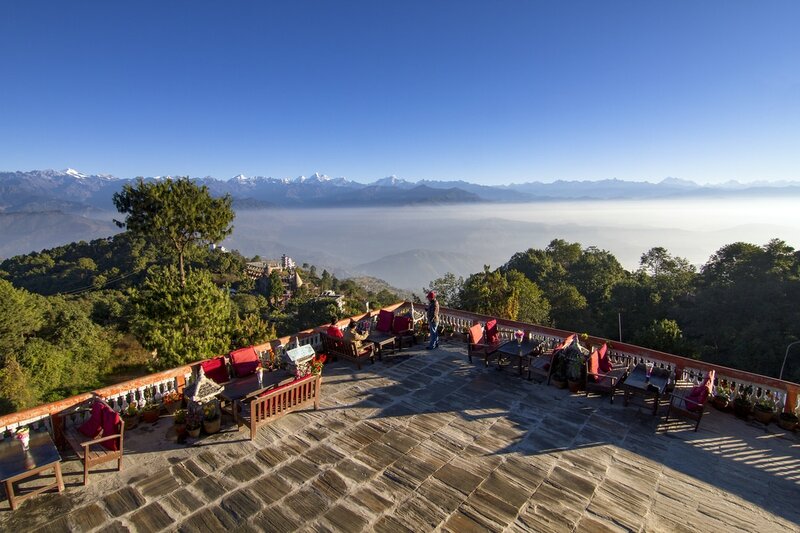 The hotel offers hiking information for recreational opportunities such as Nagarkot Panoramic Hiking Trail, Nagarkot 360 view tower and village walk, Nagarkot Buddha Peace Garden walk, etc. Guests can relax on the rooftop terrace for mountain sunbath, do hiking trips, or spend a quiet reading afternoon in the hotel. Hiking and Trekking arrangements can be made upon request with the help of the cheerful staff. Vehicle Hire can also be arranged. Simple yet delectable meals, drinks and snacks can be enjoyed at the inhouse restaurant café du mont.